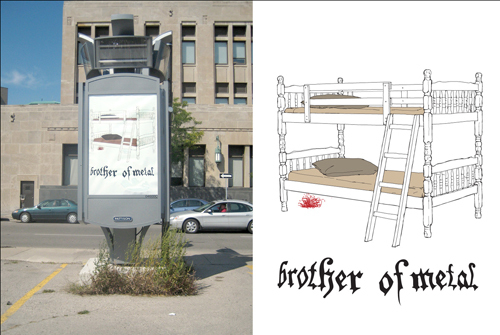 This project combines Roman Tkaczyk’s Illustrator drawings of domestic objects and imagined explosions with my text drawings of Death Metal fan’s tattoos. 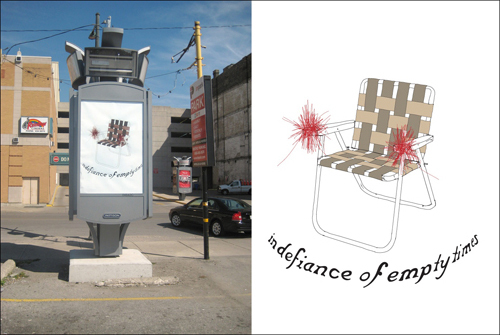 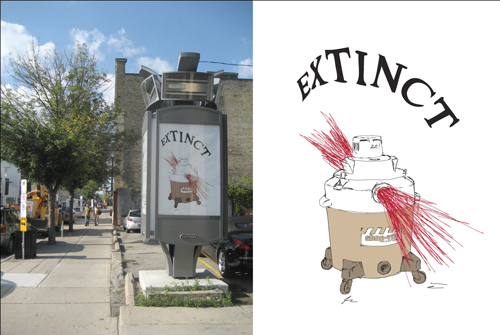 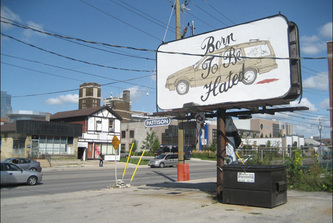 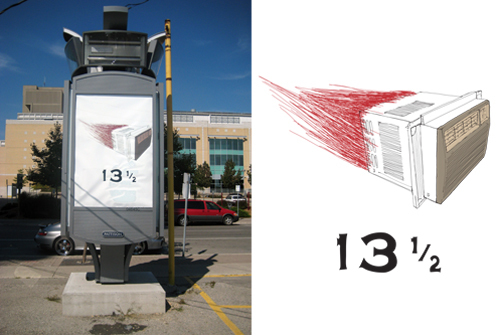 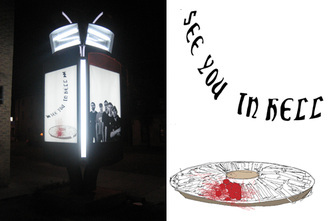 Functioning like commercial street advertisements both in the design and in the context of the kiosk, these posters humorously reference extreme forms of youth boredom and rebellion, and suburban excess through implied violence and destruction. 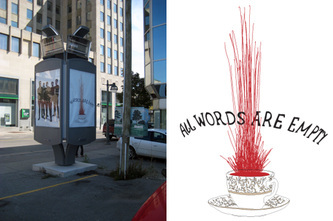 In this series we are interested in how the various texts act as a form of absurd branding to the innocuous objects that they are juxtaposed with.